Remember those old Red Bull commercials from the early 2000s? The animated ones where loosely drawn characters with big noses chugged from a skinny can, grew wings, and merrily fluttered up, up, and away? Of course you do. The style and humor were unmistakable and became essential to the Red Bull message. In many ways, those goofy ads were a precursor to a rapidly growing practice in today’s world of branding. What Is a Brand Illustration System? A brand is a promise. Brand designers help businesses reach people by thoughtfully crafting this promise with words, logos, color, and typography. Increasingly, illustration is being used to express brand value, especially on the web. To be clear, companies are going beyond commissioning one-off illustrations that highlight isolated talking points on their websites. These days, they’re investing substantial time and resources into extensive brand illustration systems. 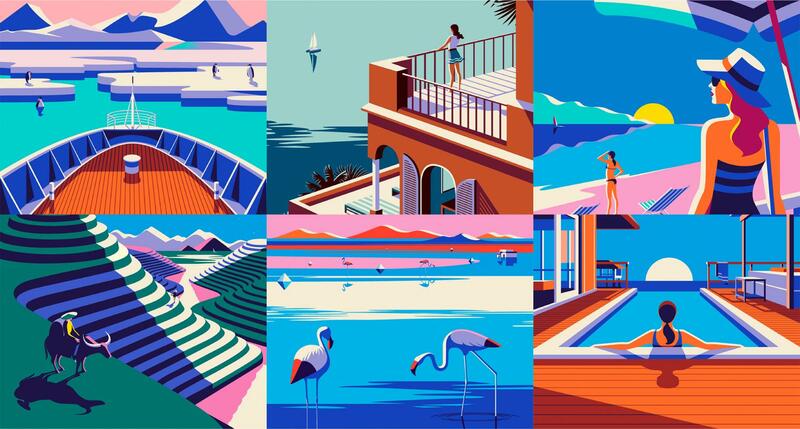 A brand illustration system is a collection of images with a cohesive mood and style that clarifies a brand’s promise, often with a nod to human experience (humor, hope, irony, etc.). It’s important to note that, unless there is a specific strategy stating otherwise, illustration should be a complementary part of the overall framework of a brand. If a brand’s message and visual identity is structured and serious, an illustration system that is loose and playful may cause confusion, especially if there is no clear intent behind the style choice. Why Is a Brand Illustration System Useful? Illustration has the ability to reimagine reality in a way that is familiar yet delightfully uncommon, which makes it particularly useful when an idea is difficult to explain. It’s a powerful way to cut through distractions and relate complex emotions quickly. 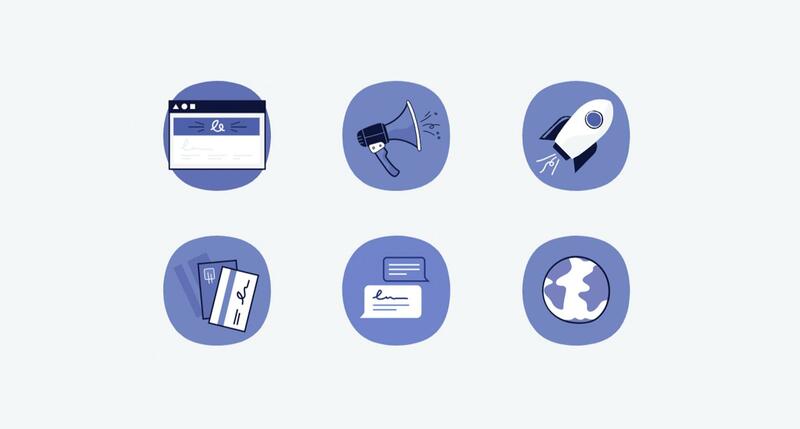 But why design a system of brand illustrations? Why not create individual images as needed, each with its own distinct style? The first answer is language. An illustration system is a way to enrich a brand’s visual language and say more nuanced things that a logo, color scheme, typeface, or even words cannot convey alone. The second answer is consistency. Consistent branding (i.e., promise making) creates expectations for a business to meet, and people reward met expectations with loyalty. A brand illustration system gives a business the ability to unfold its brand story with consistency on multiple platforms (web, print, social, etc). How Do Leading Brands Successfully Implement Illustration Systems? 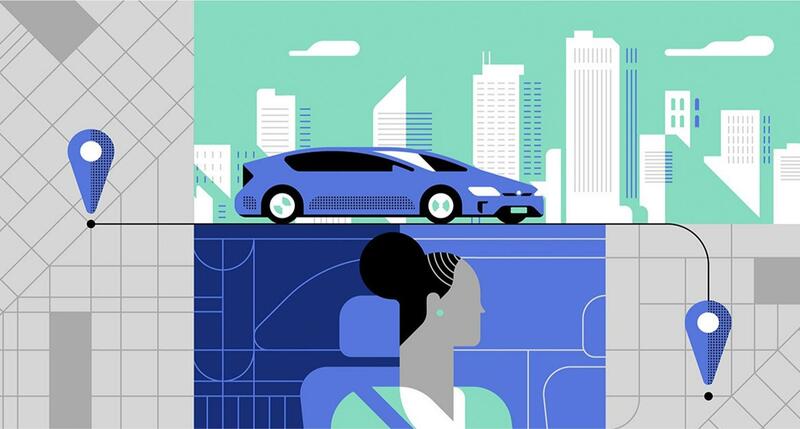 Let’s take a look at how three big brands use illustration systems as part of their brand building strategy to bring life, energy, and emotion to helpful but mostly utilitarian products. 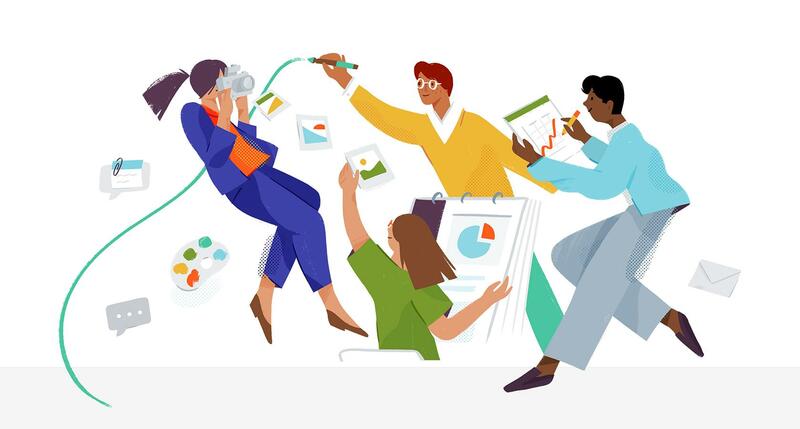 Slack is an online “platform that connects teams with the apps, services, and resources they need to get work done.” Recently, the Slack website underwent a redesign and re-emerged awash in beautiful, brightly colored illustrations depicting smartly dressed millennials joyfully performing office tasks like checking messages, sharing files, and sending notes. 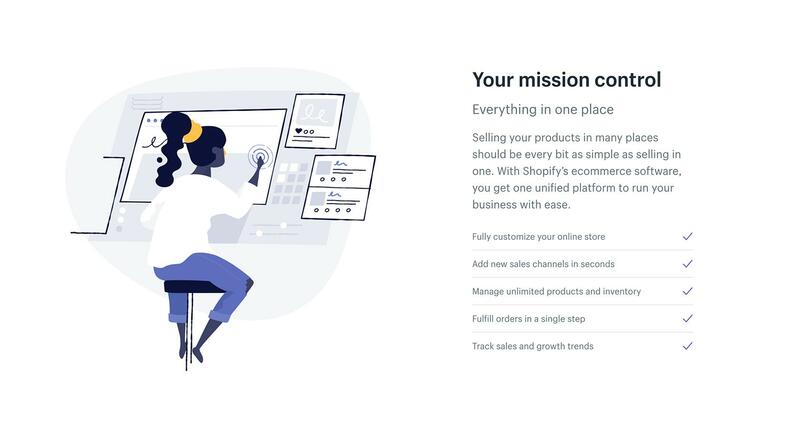 Shopify is an eCommerce platform that provides people with a suite of tools to help sell products and run a business online. The company’s branding places an emphasis on how easy their product is to use, from building out a branded storefront to managing inventory and collecting payments. Dropbox is a file hosting service where users can store and share information and collaborate on projects. 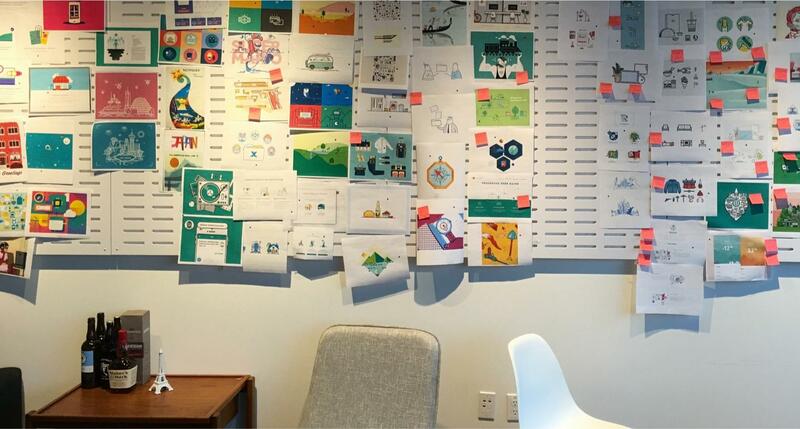 When it comes to brand illustration, the Dropbox team has a rich, ten-year history of experimentation. They’ve explored a wide range of techniques and worked with a talented but ever-changing roster of illustrators. Through it all, they’ve managed to hone in on what works and corral their creative efforts into a cohesive, yet evolving illustration style. 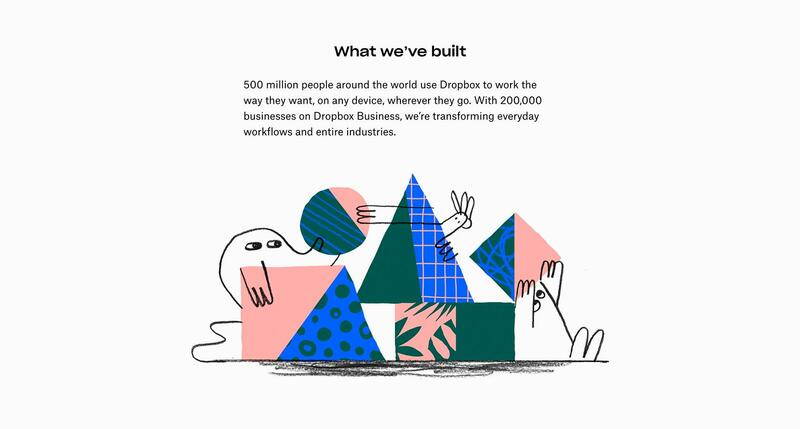 At the start of October 2017, Dropbox unveiled an ambitious rebrand that includes a revamped approach to their brand illustration system. The new style uses gestural graphite markings and crude, brightly patterned shapes and textures in an effort to tap into the spark and spontaneity of creative collaboration. How Does One Go about Creating a Brand Illustration System? If you’ve never worked on a brand illustration system, or you have but weren’t happy with the results, here’s a list of key considerations that will bring added clarity to your next brand design project. This is obvious but shouldn’t be overlooked. If you don’t know the brand, it’s unlikely that the illustrations you make will resonate with the audience you’re trying to impact. Knowing the brand goes deeper than knowing the visual identity. You have to know the promise. Who does the brand want to be? How do they want to be perceived? Who are they trying to reach? Knowing the brand isn’t terribly complicated. If you know how to read, take notes, ask questions, and use a search engine, you’ll find everything you need. 2. Understand what type of illustrations are needed and how they will be used. Does your client need spot illustrations? Icon illustrations? Full frame illustrations? Are the illustrations for a website? For an app? Both? Will the illustrations be used for print? For packaging? What about large formats? Are there ideal dimensions or proportions that the illustrations should fit within? Should they still be legible at super small sizes? 3. Budget time for ample visual research. Don’t short yourself at the start of the project. You need to spend time visually studying a lot of images. Look at work by other illustrators, new and old photos, works of art, children’s books, magazines, and real life. As you research, keep a sketch record. These are rough, unedited sketches. Make ‘em quick, and make ‘em plentiful. 4. Aim for a style that is distinct yet flexible. The illustration system you create should have a style that makes it special. It should evoke emotions that make it memorable. But ideally, the images you create will reside seamlessly alongside text, photography, and other graphic elements without overpowering or confusing the message being presented. 5. Consider creating a list of criteria/rules that all the illustrations must meet. I will only use Conté Crayons. Every illustration must include a circle, a square, and a triangle. I will only draw faces from a side profile. No illustration can have more than two colors. 6. Don’t underestimate the importance of color. A strategy for color within your brand illustration system needs to be considered from the earliest stages of visual research. Here’s a link to a fascinating new study called Branded in Memory that asked people to recreate ten iconic logos from memory. The study found that 80% of people were able to recall correct brand color schemes, while shapes and other visual elements proved much harder to remember. 1. Create a place or a world for the illustration system. Sometimes, a project comes along and the brief is vague, or a company’s brand identity is a little sparse, or its website copy is confusing. When these things happen, it can be hard to envision how you’ll create a meaningful and fully developed brand illustration system. Before touching pencil to paper, be bold and ask more questions about the project. You’re not asking your client for ideas, you’re asking them to help you better grasp what they do and why it matters. Take the thoughts, words, and phrases that you most clearly understand and imagine a happy little place, maybe a town, where your client’s brand owns, operates, and oversees everything. Imagine how the brand meshes with every part of life and makes things better, then capture the mental vignettes with thumbnail sketches. 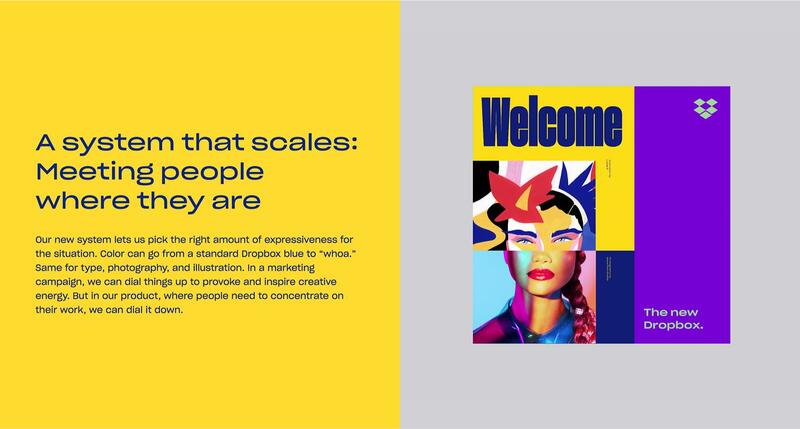 Creating a place or a world is a great way to ensure a consistent feel over a large number of illustrations and connect positive human experiences with products and services that people may otherwise feel apathy towards. 2. If possible, work in vector format. Don’t force this on any project, but if it fits the vision and raster graphics don’t add significant impact, go vector. Why do this? Editing is faster. Resizing is easier (no pixelation). Color is more flexible. File sizes are generally smaller. Moreover, designers lacking hand drawing skills can more easily add new and consistent assets as the system evolves. 3. Be careful that you don’t create a character that unintentionally becomes a mascot. Mascots aren’t bad, but a character that strongly overshadows other parts of a brand’s mood and message is counterproductive and confusing. Don’t shy away from characters with “character.” Just make sure that all your brand illustrations have a measure of balance and unity that makes them complementary to each other and the brand as a whole. What Makes a Brand Illustration System Meaningful? A final word of encouragement: Joy and intuition are the brand illustrator’s best friends. Branding is one of those fields where people sometimes take themselves very seriously and say things like, “All of our design decisions must be based on data,” or “This isn’t art. We’re trying to solve problems.” Don’t let that harsh your mellow. For pro designers and illustrators, it’s a given that each element made for a project has to vibe with the brand. But at its core, a brand illustration system is a collection of drawings, so have fun! Be funny. Be creative. Be human. Should there be reason and rationale behind the look and feel of illustrations presented to a client? Yes. But don’t overthink every little creative decision. The path to a brand illustration system that is both meaningful and enduring is paved by experience, instincts, a solid grasp of the brand, and good old-fashioned hard work.